Whew! 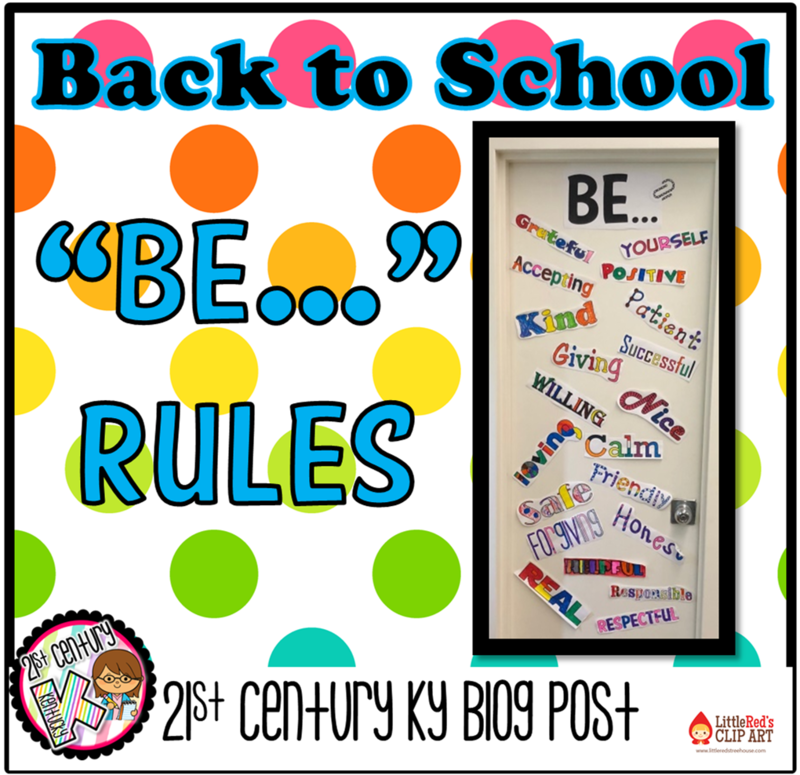 It's been awhile since I sat down to share about my life as a Kentucky primary teacher and while much about life has stayed the same... professionally-speaking MUCH has changed! After 3 years as a reading interventionist, I was asked by my principal to take a position back in the classroom. It was a bit of a two-edged sword. While I missed the relationships from working with a team and the sense of magic and community a classroom brings, I knew that going back to the classroom would mean more work after hours... taking time away from my own children. BUT... after teaching second grade for only 8 DAYS, I can say with certainty that things are going to be just fine. My 20 sweet students have already taught me more than they will ever know. 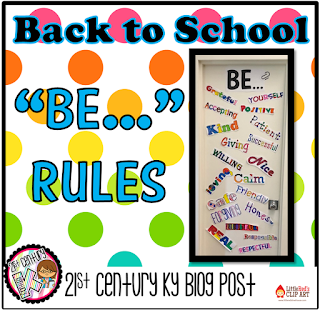 As a part of my back to school routine each year I work with my students to develop our own class rules after reading Officer Buckle and Gloria by Peggy Rathmann. Typically we keep it simple with only 3-4 rules that sort of "cover it all." This year's session on rules turned out a little differently as my students suggested rule after rule that began with the word "DON'T." "Don't stand on the tables." "Don't yell out without raising your hand." "We can't use any of these. They don't make me feel positive inside. With so many rules to worry about we will have to spend all our time making sure that none of them are broken and we will be overwhelmed with rules, just like Officer Buckle!" After a few moments of silence I said, "Is there one rule that would take care of any running, pushing, climbing in the classroom? Let's start with the word BE..."
and I erased the board. I felt a little teary as I added it to the list. I needed to hear that! I needed to BE MYSELF... my play-loving, project-starting, non-conforming, easy-going, question-asking, task-mastering, standards-based teacher-self... and that's just what I plan to do! 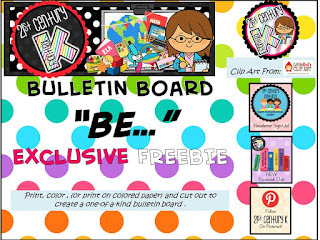 If you want to create a "BE..." Rules display, download this exclusive FREEBIE!! It includes the list of 20 words my students generated. I printed them and cut them apart then each student colored one to add to the display. 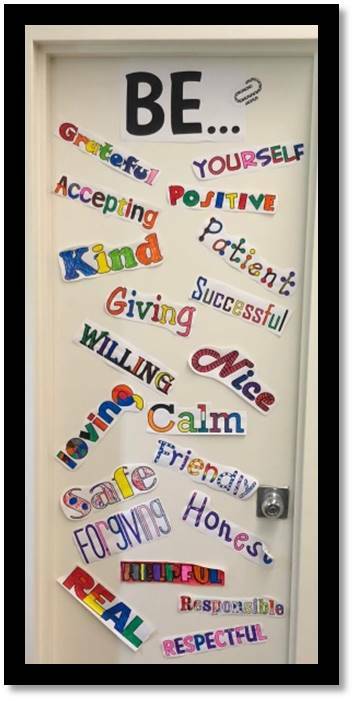 I love that we can continue to add words as we grow together over the course of the school year, too! 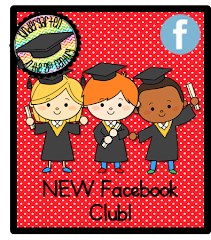 My favorite source for clipart!